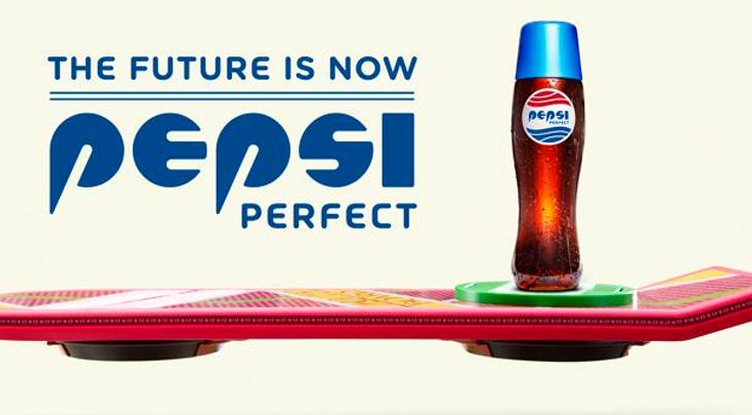 As promised, Pepsi Perfect went on sale on October 21st. However, Pepsi never actually announced when it was going on sale, where, or provided a link. Some resourceful people must have found it because according to a tweet by Pepsi, “It sold out faster than we can say 1.21 Gigawatts”. @pepsi By “This morning,” you mean earlier than they should have? And people who wanted them got screwed? Awesome! Some fans are encouraging others to donate the $20.15 to the Michael J. Fox Foundation for Parkinson’s Research. It seems many of the bottles (including those given out at New York Comic Con) have been obtained by scalpers who already have them for sale on eBay for an average price of $400 to $500 each. Pepsi’s Twitter account has not yet responded to any of the complaints.